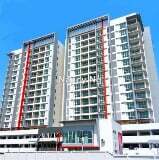 Kindly call ANGELINE 012-5237--- for viewing or more detail. *single sty terrace*. *renovated*.=close to apollo market. Close to Kwang Hwa School. ...Just located beside the Butterworth High court. Those interested, please kindly contact Ms SP Whong at 017-450 2--- for viewing arrangement. Main Road. 20x70. 3 Storey. Freehold. Asking Price RM 1.45 mil negotiable.